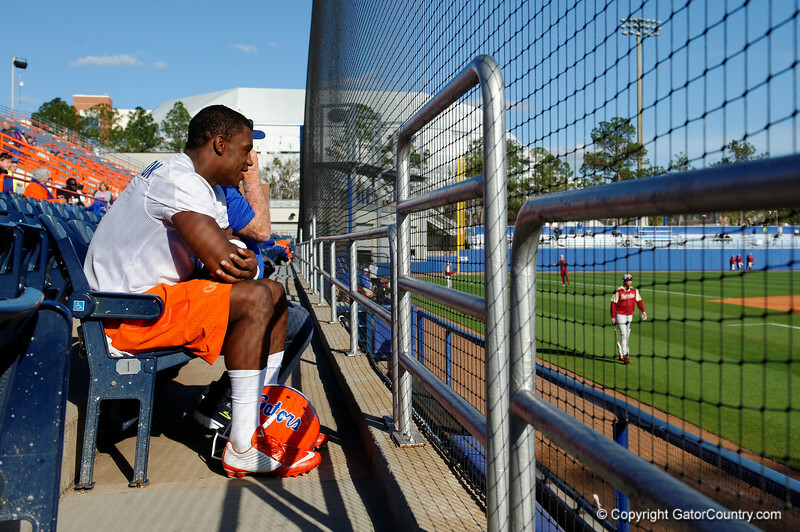 Florida Gators defensive back Nick Washington came straight over from spring practice to watch the Gator Baseball team warm up for their game against the Florida State Seminoles as the Gators host and defeat the Florida State Seminoles 1-0 at McKethan Stadium. March 14th, 2017. Gator Country photo by David Bowie.